A premier family community located in the heart of Jupiter makes Egret Landing in Jupiter Florida real estate highly desired. 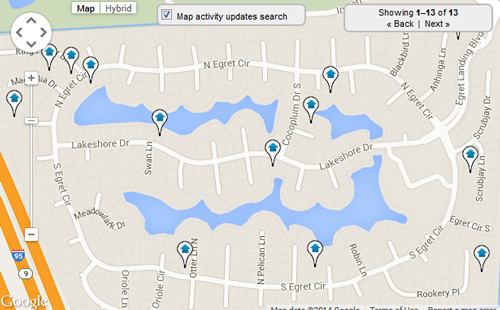 Welcome to over 250 acres of large Mediterranean style homes, cul-de-sac streets and scenic lakes. Egret Landing in Jupiter consist of 650+ Mediterranean styled homes wrapped around a 3 mile circle ranging from nearly 1,800 square feet to over 4,000 square living space feet and all arranged on alphabetically ordered bird named streets. Egret Landing is well known as a friendly neighborhood with the best schools nearby and alphabetically assigned street names for simple navigation. This is one of the premiere home communities in South Florida. Why Live in Egret Landing? Those who purchase Egret Landing real estate in Jupiter Florida enjoy one of the lowest HOA fees around - only $325 a quarter that include maintenance on the 256 acre parcel’s common areas plus basic television. Just south of Indiantown Road and West of Military trail this Jupiter Florida family community additionally offers many amenities such as a beautiful clubhouse and community activities. Residents enjoy luxury amenities at the on-site community clubhouse featuring 7 tennis courts, a tot lot for children, basketball court, an Olympic size community pool, small fitness center, entertaining social activities and much more. With over 600 homes, Egret Landing offers some of the best amenities of any Jupiter Community as well as one of the lowest maintenance fees. This Jupiter family community real estate also has a boat and RV lot for adventure enthusiast and rest in an “A” rate school district for any school aged children. With an array of floor plans and builder models to buy, Egret Landing in Jupiter Florida has property for sale that will please the particularist of families.